Wawa has begun exploring the installation of a Super Wawa, which would include both a convenience store and gas pumps, at the corner of South Aberdeen and Lancaster Avenue, immediately across the street from Saint Katharine of Siena Church. The new construction would replace the existing Sunoco and BP gas stations, as well as the service-station and carwash onsite at the two facilities. On July 17, 2018, the Community Development Board conducted a meeting with the developer and the public to discuss the potential plan, and I encourage you to watch. There are aspects of this proposal which are, indisputably, positive for the Township and the area. Wawa proposes to reduce the total number of gas pumps from twenty to twelve. Wawa proposes to provide stormwater management facilities for both sites which, at present, are entirely impervious cover without any stormwater management. Wawa proposes to reduce the total number of curb-cuts onto Lancaster Avenue from the site, assisting with traffic congestion caused by cars entering and exiting Lancaster. And, also, Wawa proposes to bring the site into compliance with our Shade Tree Ordinance, providing landscaping and beautifying what is, now, a pair of quasi-industrial facilities. There are also some significantly negative aspects to this proposal. 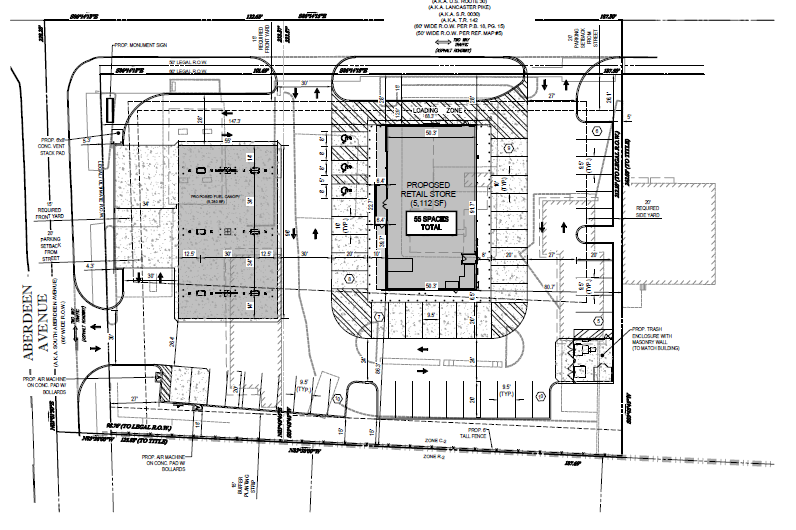 Wawa plans to install a total of fifty-five parking spaces, which is a significant expansion of parking onsite. It also plans to install a canopy over the twelve gas pumps, but is unable to specify the height of that canopy at this time: neighbors have expressed concern that it will be significantly taller than the surrounding structures, consistent with the heights of other Super Wawas in the area. The Wawa would also be open for twenty-four hours, generating light and sound pollution to the detriment of residential neighbors. This site is not in the First Ward, but it’s right across the street. Moreover, it’s located at the center of Radnor on Lancaster Avenue. Please reach out to me and let me know your thoughts and concerns so that, over the coming months, I can advocate on your behalf with respect to this development.